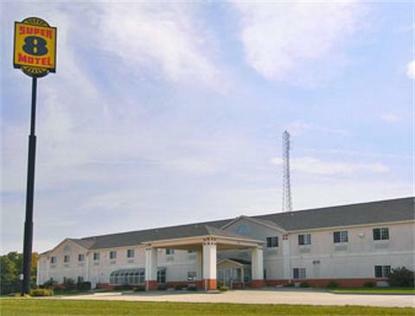 The Super 8 Urbana is conveniently located just off I-74 at exit 183. We are a newly built Super 8 located within 1 mile of the University of Illinois, Assembly Hall and Memorial Stadium. Whether you are visiting for a football weekend or a family get away, you will enjoy our beautiful lobby with cozy fireplace, breakfast area and indoor pool. The Champaign / Urbana area is host to many area museums, Carle &amp Covenant Hospitals and shopping malls. There are many fine restaurants nearby, as well as the Krannart Center for the Performing Arts. At the Super 8 Urbana you will enjoy our complimentary SuperStart breakfast, free high speed wireless Internet, and indoor pool with solarium. We provide hairdryers, alarm clock radios and 25 inch TVs with over 60 cable channels including HBO. For a relaxing evening try one of our fabulous Jacuzzi suites. Check-in today and find out how good it feels to spend a night in this fine Super 8 Motel.